What does Blue Steel mean? Blue Steel is a comically studied, self-serious modeling facial expression featured in the 2001 comedy film Zoolander. Where does Blue Steel come from? The comedy film Zoolander centers on a male model named Derek Zoolander, played by Ben Stiller. 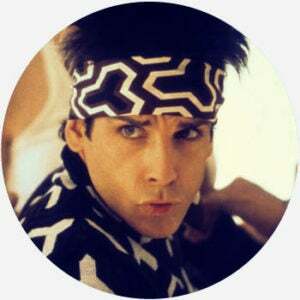 Among Zoolander’s famous poses is a look called Blue Steel. It involves pursed lips and sucked-in cheeks made with the eyes fixed on the camera. Stiller explained that he based on the expression after one he made himself in the mirror in an effort to look his best. He decided to use it in the film when he realized, as he told an Australian talk show, Blue Steel is “the look you do in the mirror that you think makes you look good, but it just makes you look like you’re doing a look,” which is perfect for his parody character, Zoolander. According to modeling and art director James Forte, distinctive facial expressions establish the tone for advertisements and set models apart from each other. Part of the joke of Blue Steel is that it’s the only look Zoolander has, though he claims to have others with names like “Ferrari” and “Le Tigra.” Blue Steel is also a broader sendup of modeling culture itself. Blue Steel is used as a humorous allusion for, and mild, if loving satire of, similar expressions in celebrity culture. The term has become so widely known that style and entertainment media playfully refer to celebrities as doing Blue Steel, having a Blue Steel face on, rocking Blue Steel, putting on a Blue Steel pout, or even Blue Steel-ing it up. The actual phrase Blue Steel predates Zoolander, and is used for other, unrelated purposes, including for a phase of tempering steel, a British Soviet-era missile, and the titles of 1934 and 1990 films.